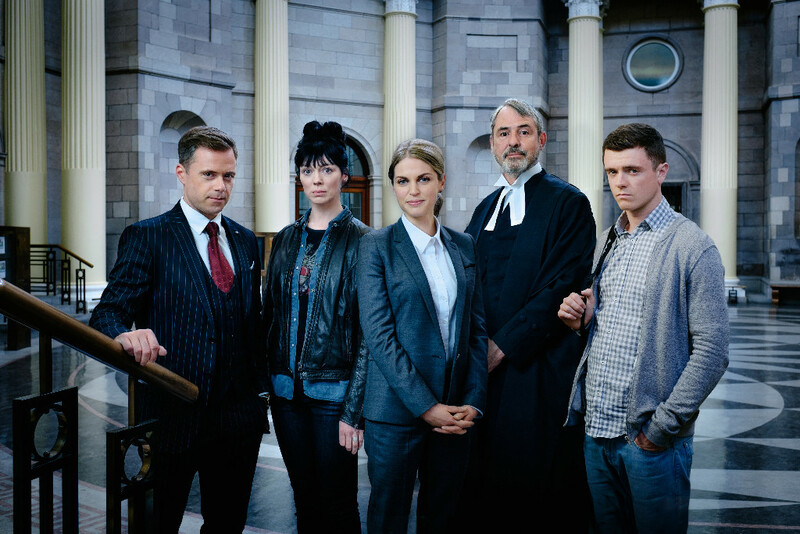 Striking Out, Ireland’s first home-grown legal TV drama in years, premiered on RTÉ One on Sunday 1 January 2017 - so you’d be forgiven for missing it amid the New Year festivities. The new show sees talented Amy Huberman star as Dublin solicitor Tara Rafferty, who is left shell-shocked after discovering her colleague and fiancé, Eric (Rory Keenan), in bed with another woman a fortnight before their wedding. Forced to shelve her personal crisis amid the demands of her job, she sets up her own office in the back of a café with the unlikely assistance of her own unemployed client Ray (Emmet Byrne) and private investigator Meg (Fiona O’Shaughnessy). The potential of the character dynamic isn’t fully explored in the first episode, which clumsily introduces us to each of our protagonists without a hint of subtlety; every conflict is spelt out for the viewers, with little to be read between the lines. Crucial conversations, for example between Tara and her parents, are stilted and awkward. Characters’ feelings are spoken - or shouted - instead of shown. But where the writing is weak and unoriginal, the cast and their charisma rescue the show’s prospects. Meg is a walking cliché, the confident gumshoe with computer skills who immediately offers to use under-handed methods to help Tara - but O’Shaughnessy makes her a fascinating figure and possibly the only character to whom there appears to be more than meets the eye. Meanwhile Ray, Tara’s steadfastly loyal assistant, is bound to become a fast viewer favourite. He goes about his business with an air of innocent naïveté, while the threat of conviction for breach of bail conditions lingers over his head. We learn he has a male partner through a quick kiss - subtlety really doesn’t feature in Striking Out - in a rare win for LGBT representation in mainstream Irish television. The challenge for Striking Out is taking these building blocks of a compelling drama and putting them together more deliberately, while trusting the audience to follow without hand-holding. The first episode, in dealing neatly with a single media law case, feels like a standard procedural drama - a poor fit for a short, four-part series. The next three episodes need to be more confident and the show needs to take itself more seriously. If it can, Striking Out could inject interest into a genre with few wildcards. So far, the jury’s still out. The second episode of Striking Out airs on RTÉ One this Sunday 8 January, 9.30pm. You can catch up on RTÉ Player.